Grab this opportunity to secure a spot for you & your child to experience Singapore’s Bilingual Pre-School Experience. Our open house will include knowledge sharing session from our experienced teachers and Principals. There will be activity booths for parent-child bonding activities. A complimentary goodie bag will also be given out when you attend our event. Refreshments will also be provided. Special offers are available on selected centers. 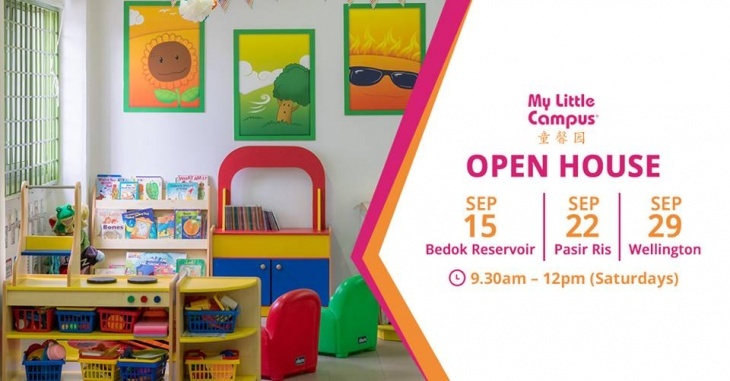 Do check with our staff during open house for more details. Register now by clicking on the link.